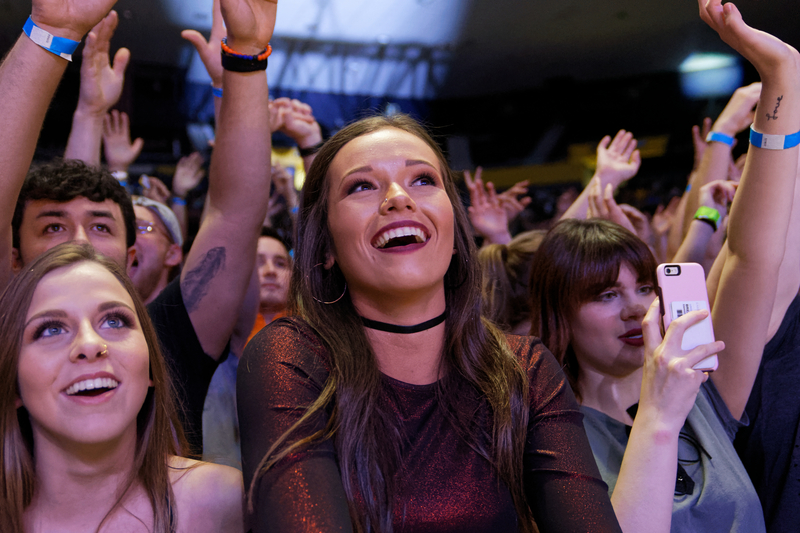 On St. Patrick’s Day, ETSU’s SGA hosted their annual Spring concert at the Freedom Hall Center; the main act was the rapper Juicy J. Flashing lights in hues from violet to yellow covered the stage, white strobe lights swiftly moved from the ceiling to floor multiple times. Free Black t-shirts with “Juicy J” printed across them were tossed to some of the audience members. The Center was packed with excited students, jamming to the rapper’s greatest hits. Regardless of whether one had a standing or sitting ticket, everyone could easily bop along with every song because they could feel each beat through the vibrations emitting from the speakers. 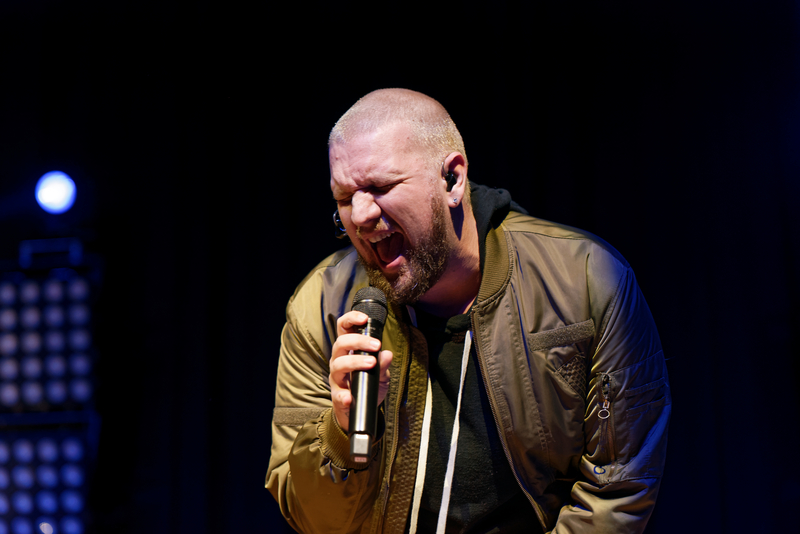 The concert started off with Swedish singer, Andreas Moss as the opening act; he performed just shy of ten selections for about 30 minutes. After Moss’ performance the DJ Jimmy took over hyping up the crowd with classic & modern rap songs. As soon as Juicy J stepped onto the stage the crowd cheered; he made his performance interactive by inviting audience members on stage to dance with him. He was interactive with the crowd, and the students loved that the most. Juicy J’s songs are meant to be danced too, and he intended to see the crowd get rowdy. ETSU Sophomore, Wendi Coleman, was excited about the Juicy J concert. “I thought it was pretty good and I enjoyed it,” Coleman said. Coleman was glad the artist for the Spring concert was one from her home town. 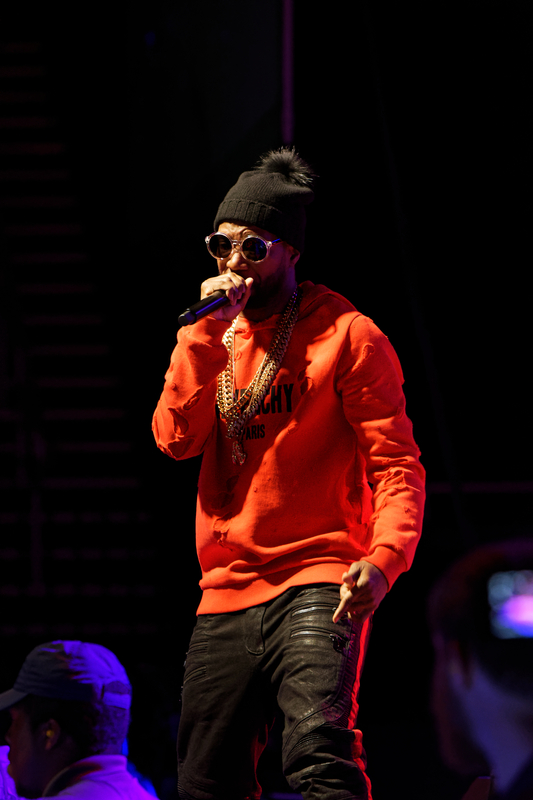 As a native of Memphis, Juicy J set aside some time during his two-hour performance to roll call popular cities in Tennessee. In the Center there were two screens placed on the sides of the stage; they captured the performance while displaying tweets and Instagram posts from students. 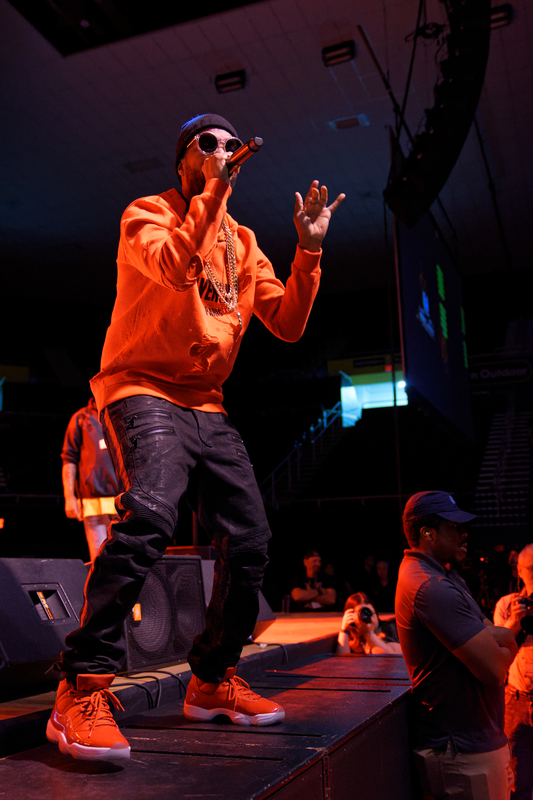 “Bringing #Juicy J is probably the best decision #ETSU has made recently,” said Tyler Scates.